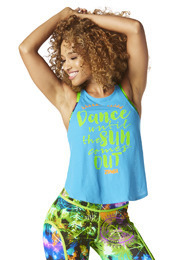 Soar up, up and away in the Conquer the Dance Floor Hi Lo Tank! In two bold colorways featuring a foil graphic on the front, this fan fave style is ready for anything. 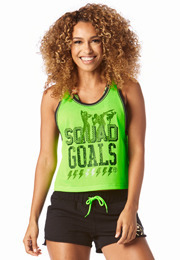 Soar up, up and away in the Conquer the Dance Floor Instructor Hi Lo Tank! In two bold colorways featuring a foil graphic on the front, this fan fave style is ready for anything!